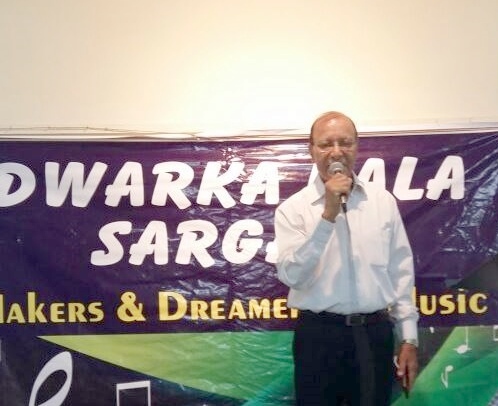 Dwarka Kala Sargam (DKS), a musical organization which appreciates and promotes the melodious music of the Golden Era and provides a platform for aspiring singers to showcase their talent presented a musical evening on Saturday, May 14, 2016 in Godhuli, an old age home in Dwarka. The melodies from the Golden Era of Hindi Cinema took the center stage when singers traced the journey of songs by crooning hit numbers. 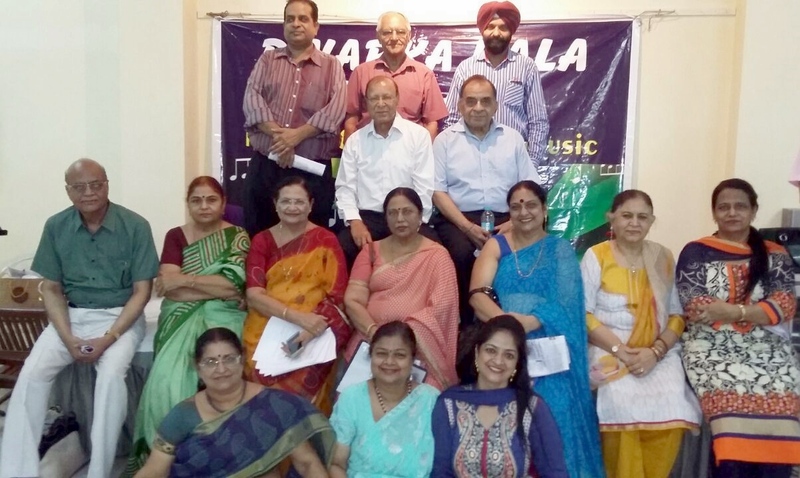 The singers who captivated the audience with their rendering of musical pieces were – Mrs. Karuna Srivstava, who is also President of DKS, Mrs. Promila Malik, Mrs. Shobha and Mr. Ramesh Bhatnagar, Mrs. Rakesh and & Mr. D P Sharma, Mr. R.K. Jain , Mrs. Jayalakshmi, Mrs. Kamlesh Soni, Mrs. Ritu Dogra, Mrs. Kanwaljeet and Mr. Amarjeet Singh Sohal , Mr. Deepak Malik and Mrs. Manju Vishwanathan. The host of the event was Mrs. Shashi Jain. Chief guests of the evening were the residents of GODHULI who are a large family of 61 senior and super senior citizens. We are grateful to Col. Gulveer Singh for providing us the opportunity to serve senior citizens. Mrs. Alka Mathur, Manager, Godhuli detailed the functioning of Old age home. Singers from DKS performed for them for 2 hours. The residents were so elated and engrossed that they held singers’ hands with a smile. During the program some were even seen clapping along with the rhythm. Never before our members felt so satisfied. At the end of the program all members of DKS took their blessings and calmly walked out of their home with a sense of pride that music made it possible for us.